The Doctor is back! At least for a moment, anyway. 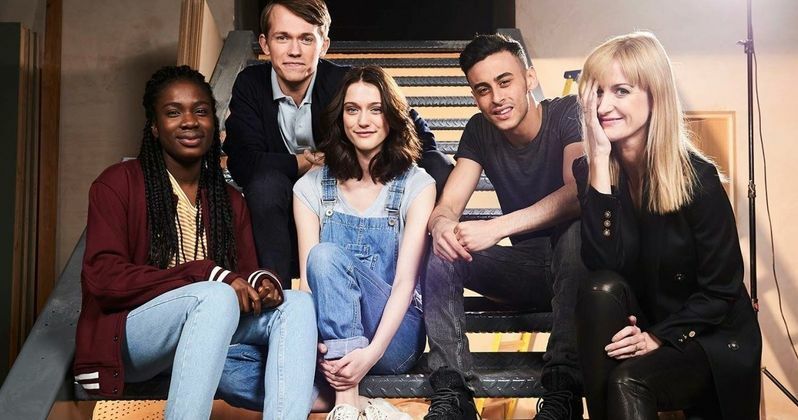 BBC America has released the first trailer for the upcoming Doctor Who spin-off series Class. While fans are surely excited about the new series and the new characters they will get to know and hopefully love, Peter Capaldi will be appearing as the Doctor in the first episode of Class. BBC debuted this first trailer for Class during a panel at New York Comic Con. Luckily for the great many Doctor Who fans who couldn't attend NYCC this weekend, BBC didn't make us wait very long, as they uploaded the trailer to their YouTube channel shortly after. While the show actually won't focus very much on the Doctor himself, Peter Capaldi was very prominently featured in this first trailer, but that seemed to be for setup related reasons. Class will follow the students and staff members of Code Hill Academy, a school that was featured in the original 1963 Doctor Who series. As evidenced by the trailer, the students of Code Hill will not be able to rely on the Doctor for help, because he simply can't be everywhere at once. It looks like we will be getting a good bit of old fashioned Doctor Who style time traveling adventures, mixed with some teen drama, since the show will largely be focusing on the students at Code Hill. Patrick Ness, a young adult author who is perhaps best known for his book A Monster Calls (which J. A. Bayona has adapted for the big screen this year) is making his TV screenwriting debut on Class. He was in attendance during the panel at NYCC, along with the central members of the cast for the new show. Those in attendance for the panel were treated to an extended trailer, which showcased the main characters from the show and gave a better look at Code Hill Academy. Sadly, that footage has not yet been released online. Class stars Greg Austin, Sophie Hopkins, Fady Elsayed, Vivian Oparah, Katherine Kelly, Nigel Betts and Pooky Quesnel. The spin-off show is being executive produced by Doctor Who's Steven Moffat. Class will start its eight episode run on October 22. Be sure to check out the first trailer for yourself below.